To train existing Surface Supplied Divers to undertake dives from a Wet Bell, utilising Hot Water Suits, in support of Offshore Diving Operations (Oil & Gas/Renewables) from Dynamically Positioned vessels (DP). 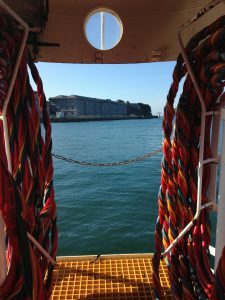 The HSE Offshore Top-Up Course at CDT is an intensive full time residential programme designed to build on the Surface Supplied Divers’ skills. The mandatory course content dictated by the HSE has been significantly expanded upon, built on the extensive experience of our Instructional team. All diving operations will be undertaken from our primary dive vessel, utilizing the deck mounted Wet Bell Launch and Recovery System, fully equipped with hot water supply. 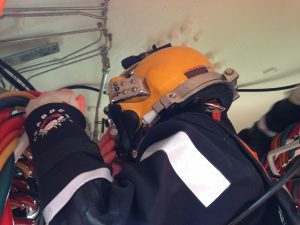 Dives will generally be mid water using the AP Mark IV Jump Jacket, as is the case in the majority of projects now undertaken offshore (UK North Sea Oil & Gas), buoyancy control therefore becomes a key skill for the diver. Practical tasks will be undertaken by all candidates, including Bell reuses and surface Standby drills. 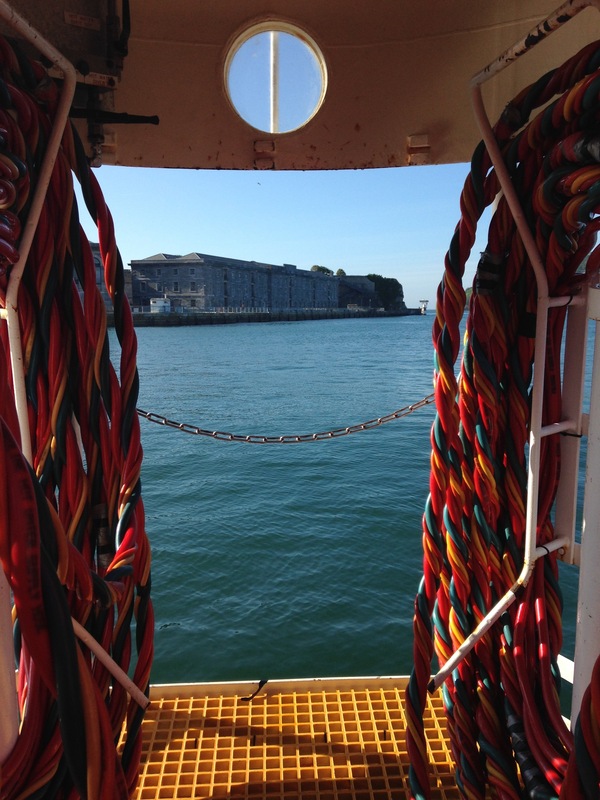 Q: Why do I need to do this course if I’m not going offshore yet? A: Valid question, firstly if you do all three courses together you can save a significant amount of money because you receive the ‘Equipment Package’, add these items up (Drysuit, Undersuit, Fladens, Coveralls, Submex Manual, etc), you will effectively be paying less than half price for this course! 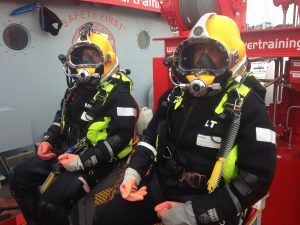 Secondly, by doing this course whilst you are already in the training mindset and environment you will have to take less time out later (unpaid) as you will also need your Offshore survival Course and potentially your CSWIP (inspection) qualifications, trying to get these all done at the same time can be difficult. All HSE certifications are valid as long as you hold an in-date HSE medical, additional offshore certifications have an expiry date, having the OTU certification in advance of these shows future employers early commitment and vision. 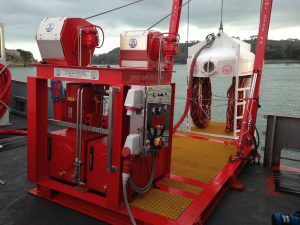 Remember, this course is a Surface Supplied TOP-UP, it teaches you more equipment techniques and associated procedures for mainly wet bells and hot water systems, these systems can also be used inshore, especially overseas, why limit your employment prospects. Q: I hold an existing non HSE Surface Supplied qualification. Can I attend the OTU? Q: If I have this qualification, am I likely to work offshore immediately? 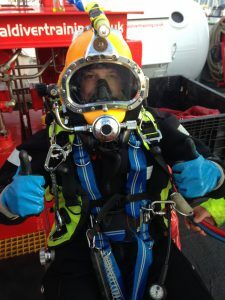 A: Normally offshore companies like divers’ to have 2 to 5 years inshore experience, that said, we have had former students go offshore within a month of qualifying due to additional qualifications (Boat skipper) as all divers had to be legally qualified to operate the ‘Daughter Craft’ they were operating from. Another former student needed the OTU as the job required the use of hot water suits even though it was inshore work.